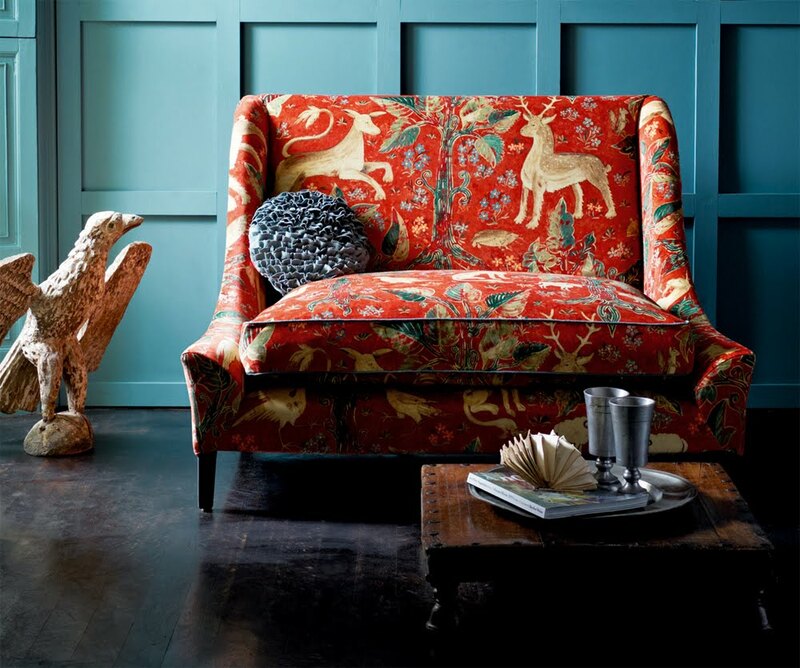 This is a slightly tardy post about London Design Week where our Arden Collection for Zoffany was officially launched. I just wanted to share a few pics from the 3 days I spent at the Chelsea Harbour showroom (11th to 13th March ) as it was such an exciting milestone to reach with the collection. This annual trade show takes place at Chelsea Harbour Design Centre which is home to over 400 interior design brands. Zoffany share a showroom with Sanderson and Morris and Co and I joined the Zoffany team for three days of meeting and greeting and talking about the collection. It was my first chance to meet the interior designers and retailers who hold Zoffany accounts. It is they who will be out there convincing their clients to redecorate using the Arden Collection! It was such a thrill to see the showroom decked out in our fabrics and papers and to finally get to see the sample books. Just under two years after my first meeting with design director Liz Cann, here we are at last! Chair covered in Verdure (lead blue colourway). My favourite piece in the showroom is this chair (below) covered in the Arden velvet (in venetian red). The cushion uses the Millefleurs embroidery. Zoffany won Elle Decor's "Most Inspiring Showroom" award - yay! 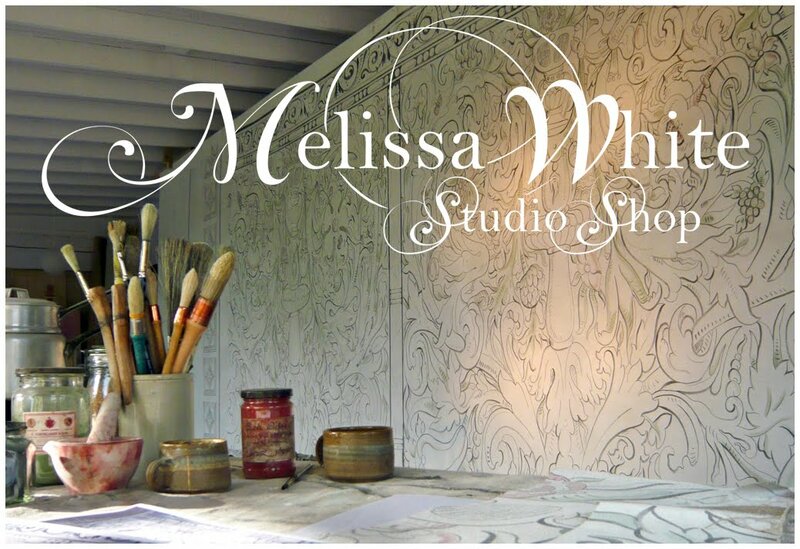 Right here right now with artist Melissa White from accessgreatdesign on Vimeo. Unfortunately David, my co.designer was unwell and unable to make this soft launch but he was there in spirit regaling visitors with tales of Elizabethan life and the story behind these unique designs. Big thanks to Camilla and Selina the showroom girls who were dynamos. Thanks also to the whole Zoffany team for looking after me and giving me confidence in this new and exciting environment away from my cosy studio. We meet during the London Design Week and we were so inspired by your amazing collection Arden. It is very exciting to follow your blog and read about your creative work. In Sweden this is a very unique style. I have written in our blog about our meeting and your creation. We have received very good feedback from the pictures I posted. 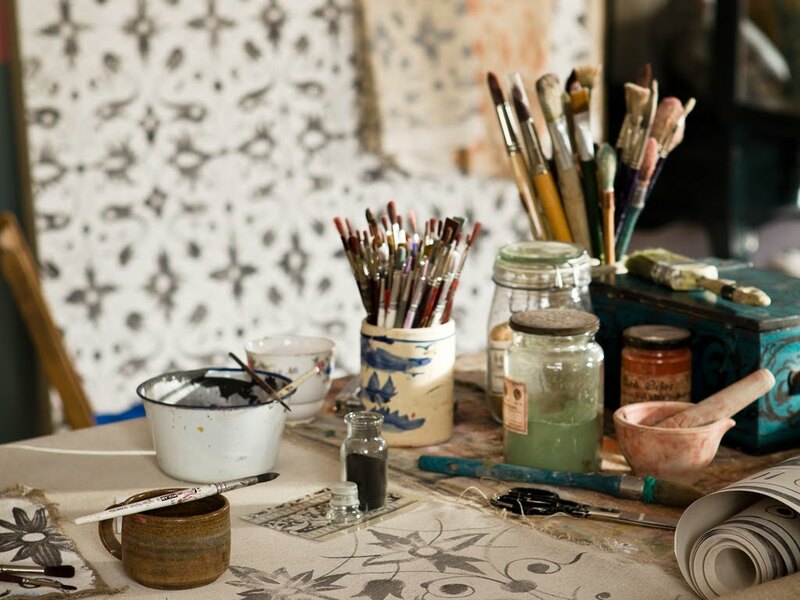 It's great to have a story behind each design and it gives the fabrics and wallpaper life. We have received some of the samples and are eagerly awaiting the rest. It's cool that we'll be first in Sweden! If you visit Sweden, you are very welcome to our store! Unless otherwise stated the images on this blog are copyright Melissa White. If you wish to reproduce them please let me know in advance via info@melissawhite.co.uk and be sure to include a credit wherever I agree they may be used. Melissa White 2010. Awesome Inc. theme. Powered by Blogger.